You would be forgiven for thinking that the world of plumbing and drainage can be a little dull, it is not glitz and glamour that’s for sure, but every now and again something happens to make unblocking drains a little more memorable. Over our 25 years of business specialising in plumbing and unblocking drains in Sussex, Surrey, Kent and Hampshire, Blockbusters have seen some strange things down the drains. This particular woman will forever remain anonymous as, after a very heated row with her husband to be, she decided that enough was enough. She was going to end her relationship and without too much thought, threw her huge rock down the toilet and flushed. It happens in the movies all the time and seems the right thing in the heat of the moment. However, we are talking about real life and in real life the women concerned, after some soul searching and contemplation, realised that she had made a huge mistake. Fortunately our engineers were able to put a CCTV survey camera down the drainage system and were able to track it to the interceptor and return the ring to its rightful owner. She was thoroughly relieved and her husband to be was none the wiser. We were once called out to a property to assist an elderly gentleman. It was pretty difficult for him to explain the problem on the telephone because he had accidently dropped his false teeth down the toilet. It transpired that after using the toilet he had turned around to flush, at the same time sneezing, which released his false teeth. They flew down the toilet just as the toilet was flushing so were taken off down the drain. We managed to track them down and return them to their rightful owner who was more than happy to put them back in after a quick wash!! We are not sure how this got down the drain but we assume someone had decided that they didn’t want this goldfish any longer, perhaps after watching Nemo in the tank at the dentist in the film they decided to set Nemo free!! We have video footage of this and Nemo seemed pretty happy, I am sure he has found his way to open water by now, if he didn’t get eaten on the way by number 4! We see quite a few rats down the drain but when you are looking at the image from the CCTV survey camera, it can be quite scary when you are suddenly confronted with a huge rat trying to attack the camera lens. They look really big up close and very menacing, this job certainly isn’t for the faint hearted. Please don’t all start going down the drains panning for gold, they are by no means a gold mine but we do seem to have found a lot of gold chains over the years. We can only assume that a loose clasp has come undone, resulting in the chain falling down the toilet and flushed down the drain without the owner noticing. I think people assume that once something has been flushed, its gone forever but it is not necessarily the case. 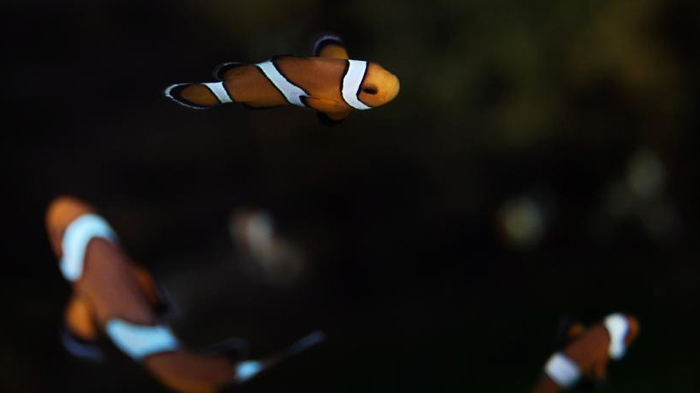 We might not be able to find Nemo again but most items are traceable with our cameras. For piece of mind – book today for your free above ground drain survey! If you enjoyed reading this blog and want to read more in the future, why not like our Facebook page so you can keep updated.